Sports Rendezvous: Winter Olympics: Nigeria’s bobsled, skeleton athletes return from Pyeongchang. Winter Olympics: Nigeria’s bobsled, skeleton athletes return from Pyeongchang. After their Winter Olympics campaign, the women returned to Lagos, Nigeria and were given a rousing welcome. 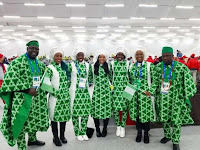 Nigeria’s women bobsled and skeleton athletes on Tuesday, February 27 arrived in Lagos from Pyeongchang where they competed in the 2018 Winter Olympics. 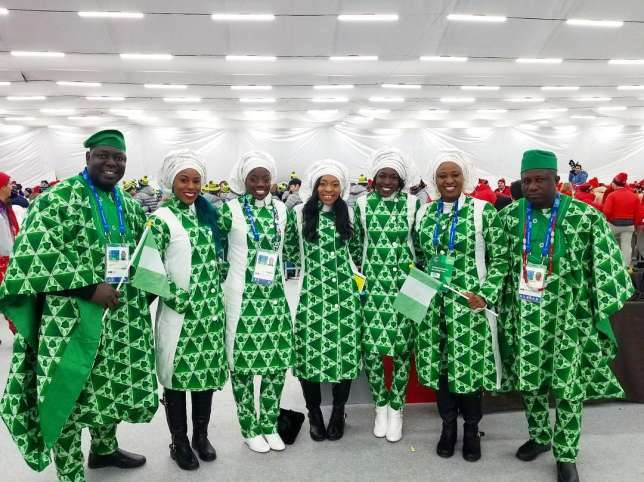 The quartet of Seun Adigun, Ngozi Onwumere, Akuoma Omeoga and Simidele Adeagbomade history in Pyeongchang as the first Nigerians to compete at the Winter Olympics.